The 2016 United Football League title is all but Global Football Club’s already. 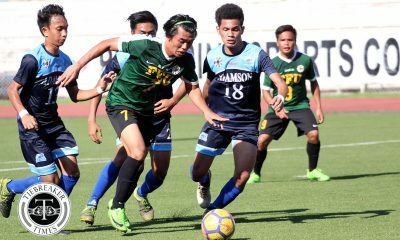 After main rivals Ceres-La Salle FC dropped points against Green Archers United and Stallion FC, Global are well on their way on being champions once again this season. 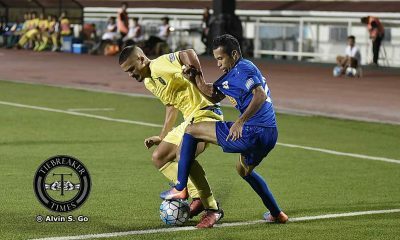 Yesterday (August 20, 2016) was a big test for Global as they had to face a hungry Kaya side eager to finish as high as they still can this season. 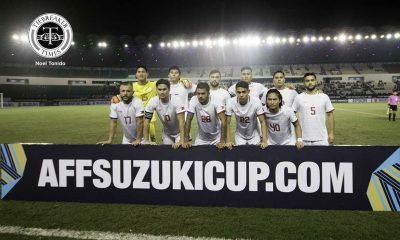 Needless to say, though, that Global are a side full of confidence at the moment and they proved their championship poise with a 3-2 win over Kaya at the Rizal Memorial Stadium in Manila. A brace from Hikaru Minegishi (17′ & 49′) and an unfortunate own goal from Kaya rookie defender Audie Menzi (13′) secured three valuable points for Global after ninety minutes. 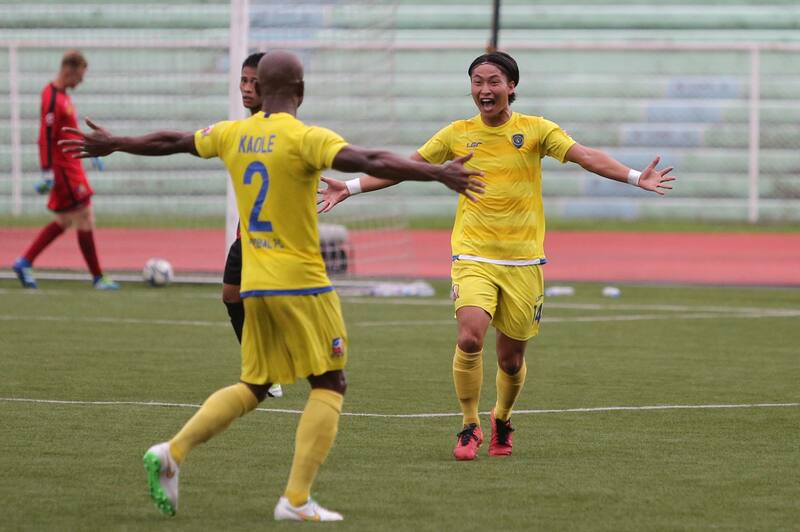 For Kaya, goals from Jim Muñoz (40′) and Robert Lopez-Mendy (80′) weren’t enough to at least get a draw. Minegishi signaled Global’s intent to get an early lead when he forced Kaya goalie Matthew Acton to make a fine save. 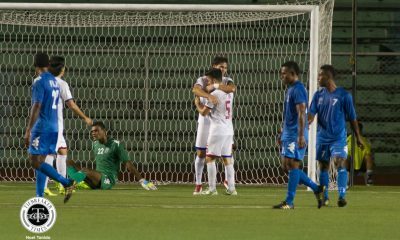 Acton then was called into action once again when he thwarted shots from Milan Nikolic and Paolo Bugas. Global, though, eventually broke the deadlock in the most unfortunate of circumstances. In his first start for Kaya, center-back Audie Menzi was noticeably jittery playing at the heart of the defense. 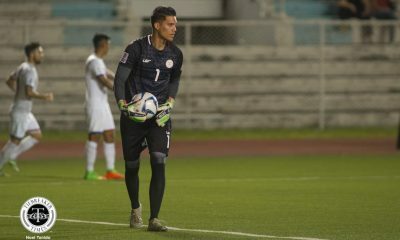 Menzi’s inexperience was evident playing against high quality forwards, and it was epitomized by his own goal in the 13th minute when he accidentally turned in Global striker Misagh Bahadoran’s cross. Things then got worse for Kaya minutes later when Minegishi got his first goal of the match. Minegishi was played through on goal and he made no mistake as he put the ball in the back of the net in the 17th minute of the game. Global ran rampant while Kaya were left dazed at the turn of events. Full credit to Kaya, however, for not giving up. It must be remembered that Global had let a huge lead go to waste in that entertaining 3-3 draw against Ceres a few weeks back. What Kaya needed was a goal before halftime to change the game’s complexion. They did get that before the break, as Muñoz slotted the ball home at the 40th minute. After forty-five minutes, Global enjoyed a 2-1 edge at halftime. Kaya had much to improve if they wanted to salvage something from the game. Whatever Kaya discussed in their dressing room at halftime, however, came to naught four minutes after the restart. A long-range strike from Minegishi in the 49th minute left Acton helpless and restored Global’s two-goal cushion. Global were cruising at this point of the match. Jerry Barbaso, Minegishi, and OJ Clarino should have put the game beyond Kaya, yet all narrowly failed to score that killer goal. Out of nowhere, Kaya got themselves a lifeline in the 80th minute when Lopez-Mendy successfully followed up Louis Clark’s attempt. 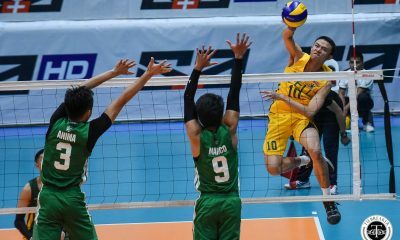 Kaya were back in the game and, perhaps, should have won it themselves. They had two chances on goal that should have gone in. Clark was left open by the Global defense, only for him to direct his header wide. Minutes later, substitutes Julian Matthews and Aly Borromeo failed to link up well and the chance went begging. With the win, Global are on top of the league table with 37 points, while Kaya are in fifth place with 24. Both teams’ next games will be held after the FIFA international break.